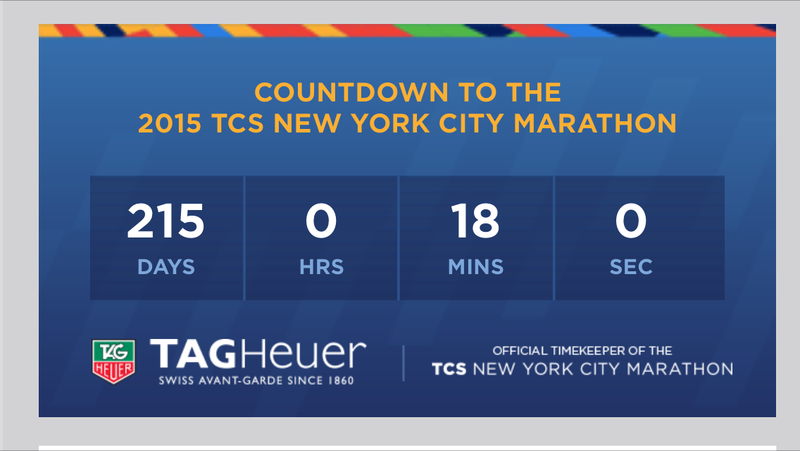 1 week to go before I officially start my NYC Marathon training. 7 days. I have the Cherry Blossom 10 Miler on 12 April so that will be a great end to my first week of training. YAY! I was talking with M last week and sharing my racing schedule and how “packed” it is. She wanted to know which races I had in September/October and wanted to join! I love when I get to run races with other runners and friends. From 5k to halfs or even the only other full I’ve done was with someone else. It’s more fun with friends! I even roped in a few for the Color Run when it stops here in May! One of the most fun races ever! Last week many of my friends got the ever awesome email that let them know they were selected to run the 40th Marine Corps Marathon on October 25, 2015! I’m so excited for them and so sad at the same time that I won’t be joining them. NYC is the week after so that is taking the priority. I will most likely still be at the finish line cheering everyone on since I plan to run the 10k that they put on that day. I’m crazy but not crazy enough to run 2 marathons within a week. My planning (yes I’m a planner) for NYC is almost done. I have the train tickets and hotel. I just need restaurants and things to do. I won’t be doing many things besides the expo and seeing some sights. I can’t wait to experience it. This will probably be the only time I run NYC unless I travel up there for some halfs which would be fun. So many things to consider for the future. I may plan things but when it comes to training I am lazy and always start off great. I hope that I’m not lazy this time and can keep my poor mental attitude out of it. I have a good feeling about this though so we will see. So here’s to the start of training and 215 days before I run in NYC! Wow- you are definitely organized and setting yourself up for a fantastic NYC marathon! Enjoy the Cherry Blossom 10 miler! Thanks! I’m trying for sure. We’ll see how my training goes. I hope my plantar fasciitis stays away.